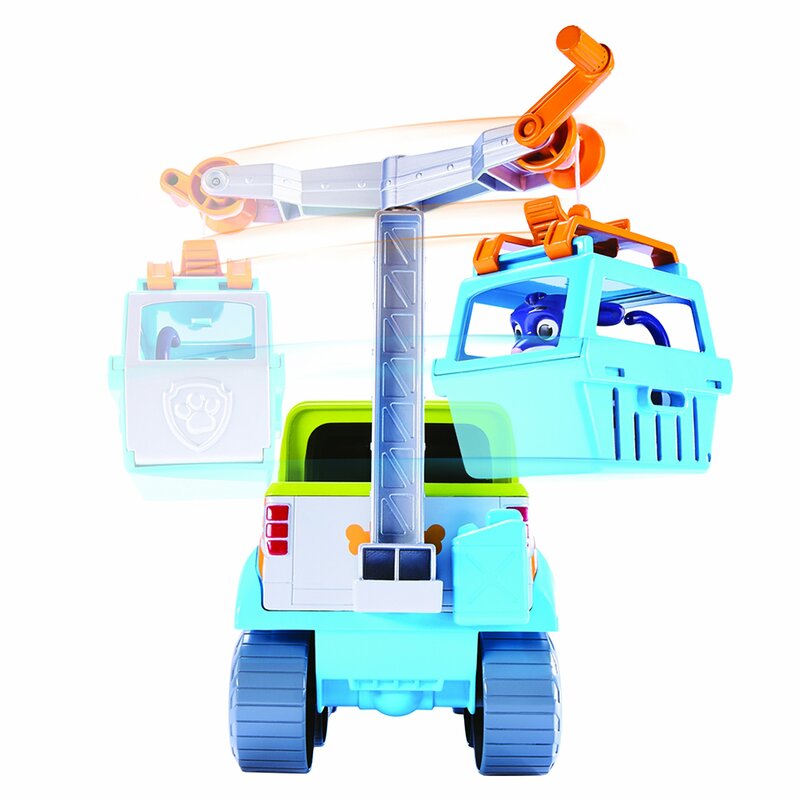 Press the Paw Badge button on the dashboard to activate real vehicle lights & sounds! 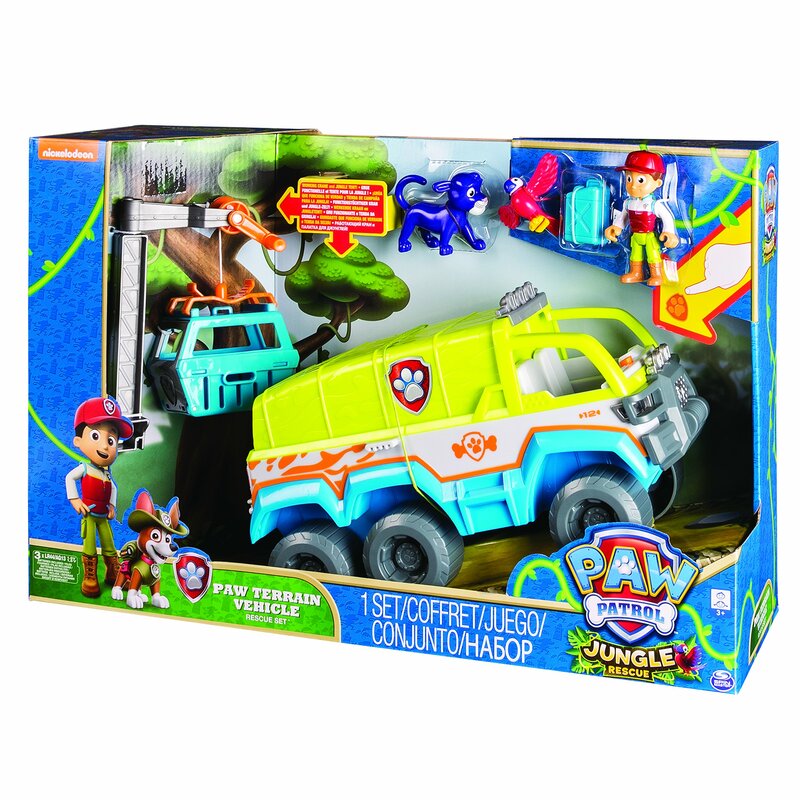 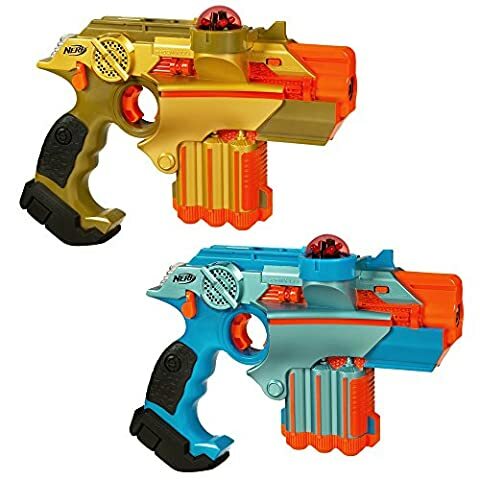 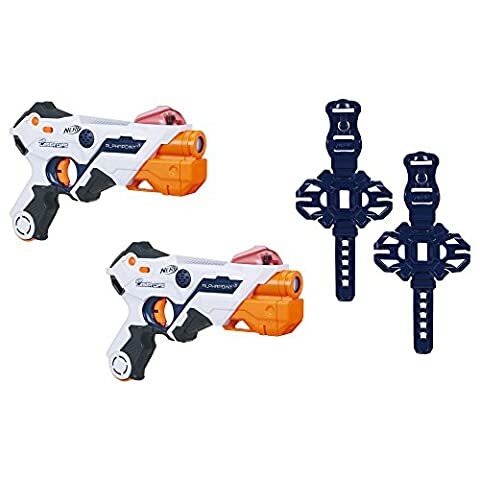 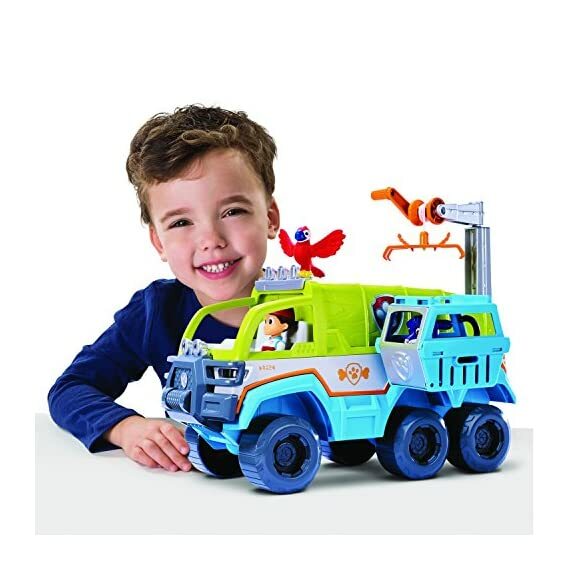 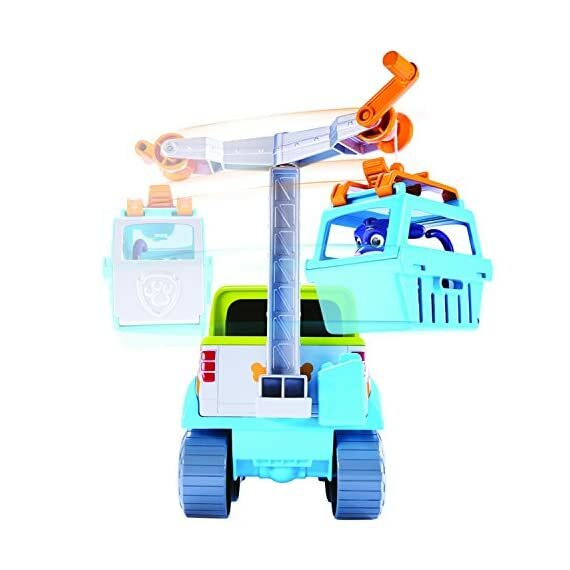 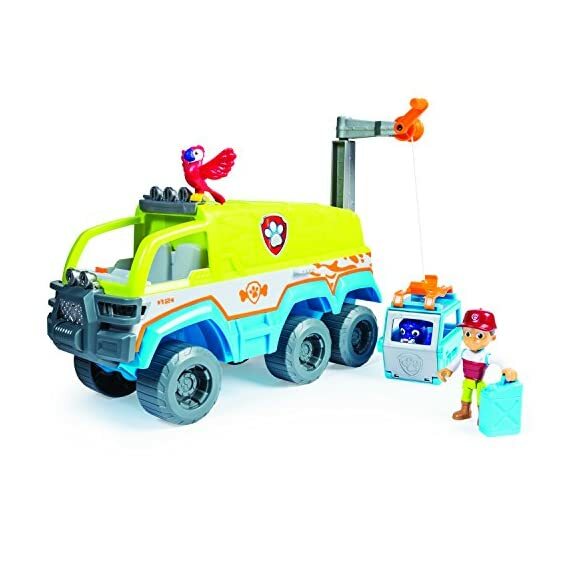 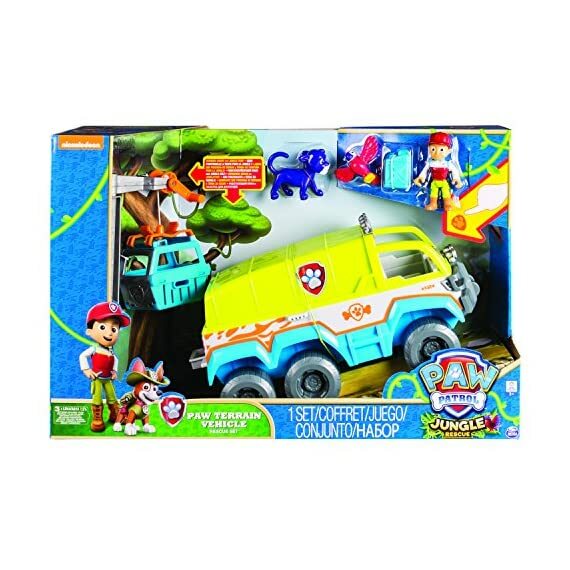 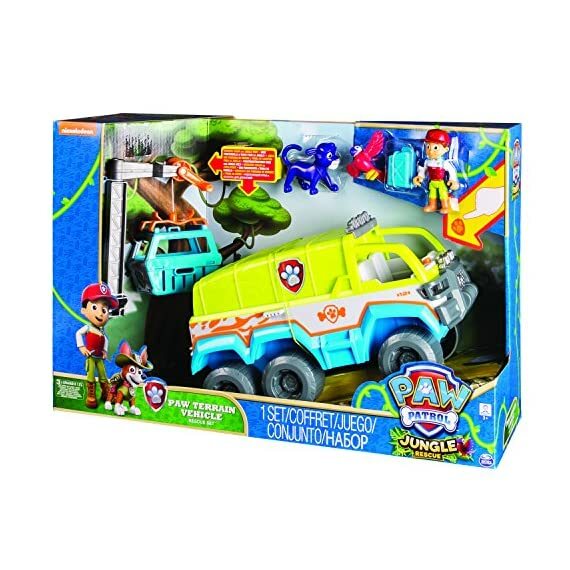 Collect all of the Paw Patrol Jungle Rescue figures and vehicles (each sold separately) for even more rescue missions! 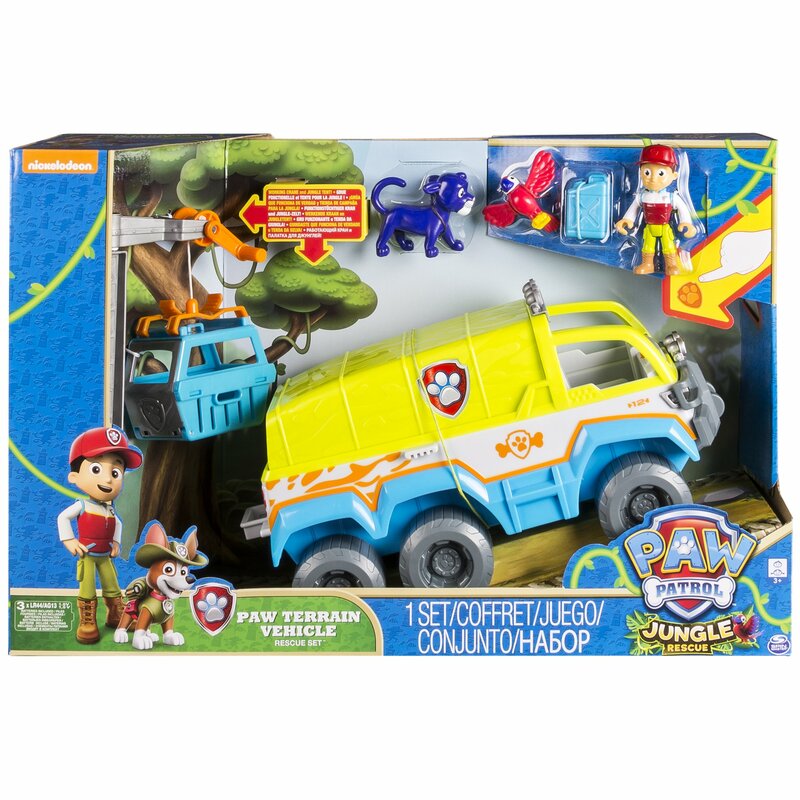 Paw Patrol is on a roll with the paw terrain vehicle! 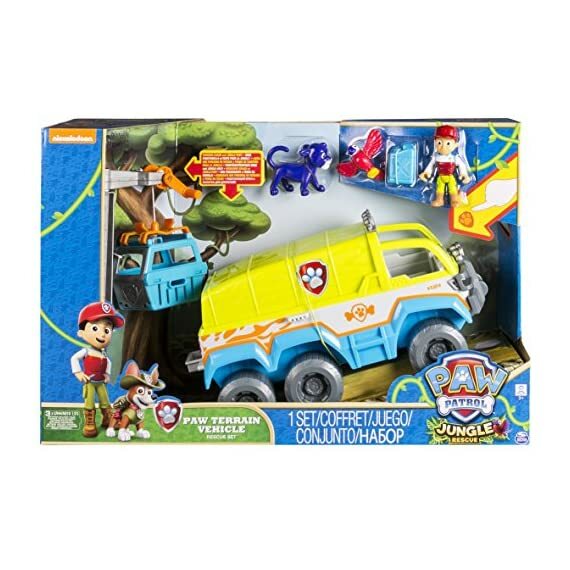 join Ryder and his friend mateo the Parrot on their jungle mission – baby Panther is in trouble and he needs your help! 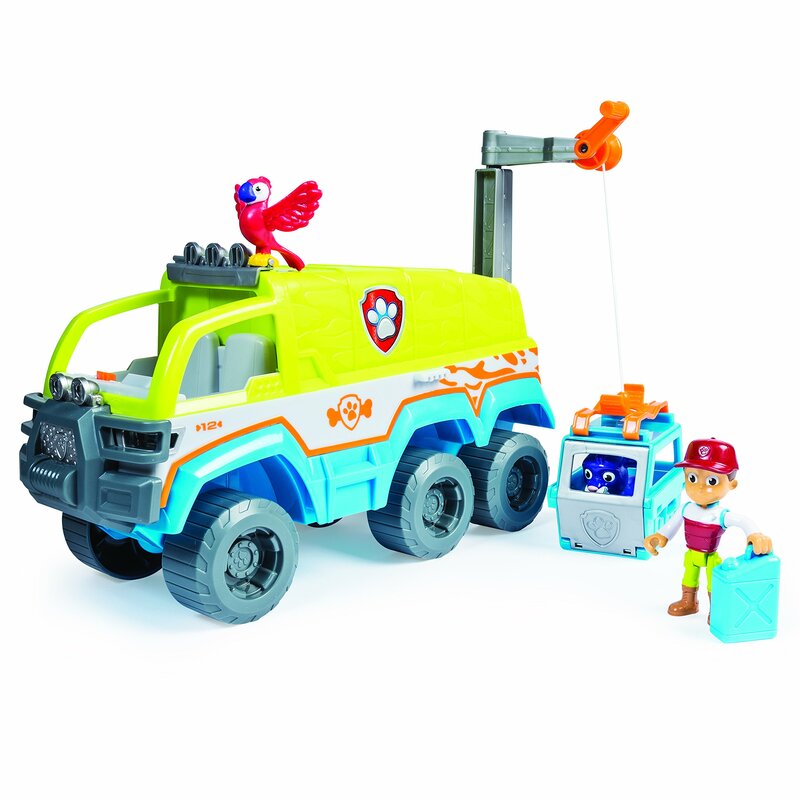 place the Ryder figure into the paw terrain vehicle, attach mateo to the roof rack and get ready to roll! 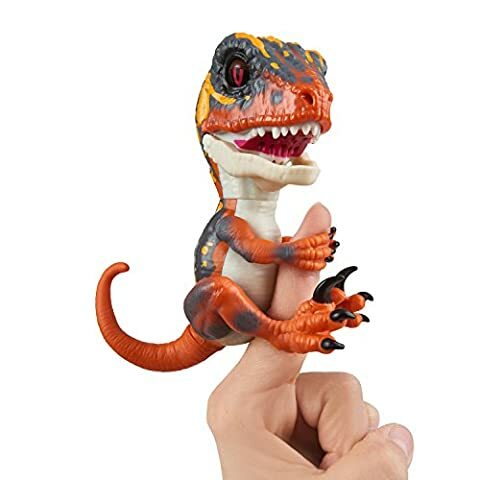 you've found the baby Panther! 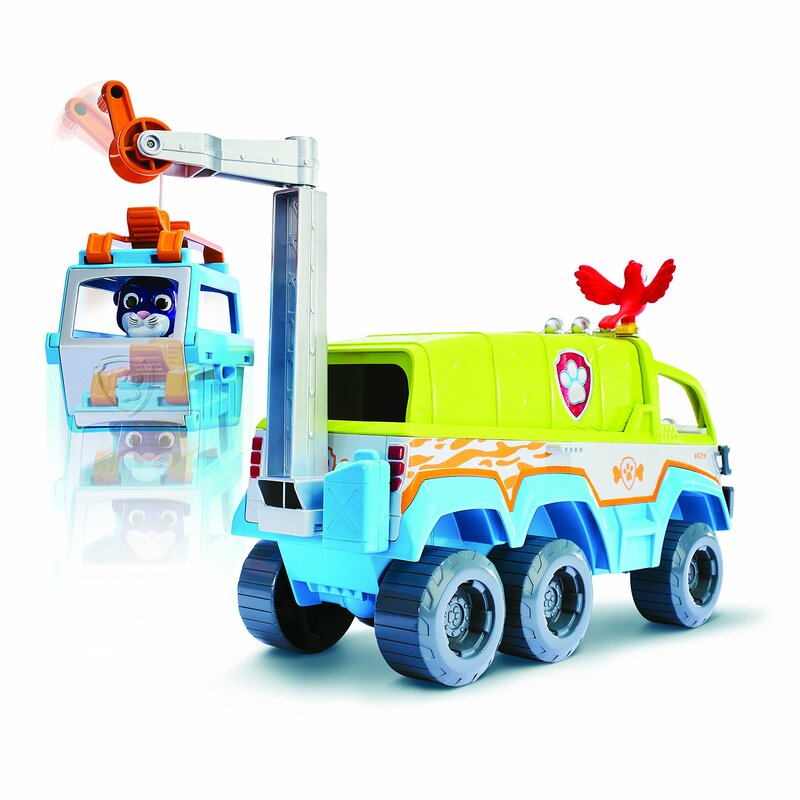 load him into the animal carrier and use the crane to pull him up to safety. 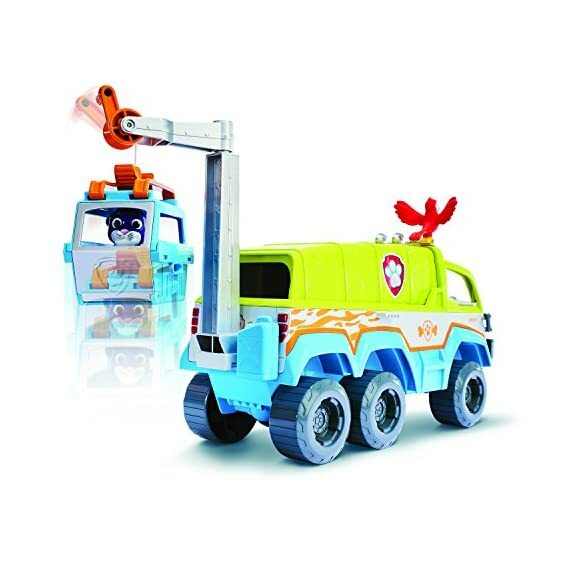 Activate authentic lights & sounds with a push of the paw badge and head back to base. 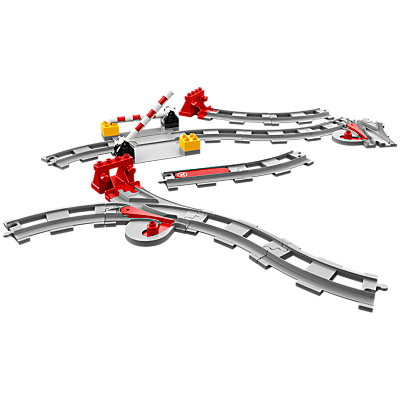 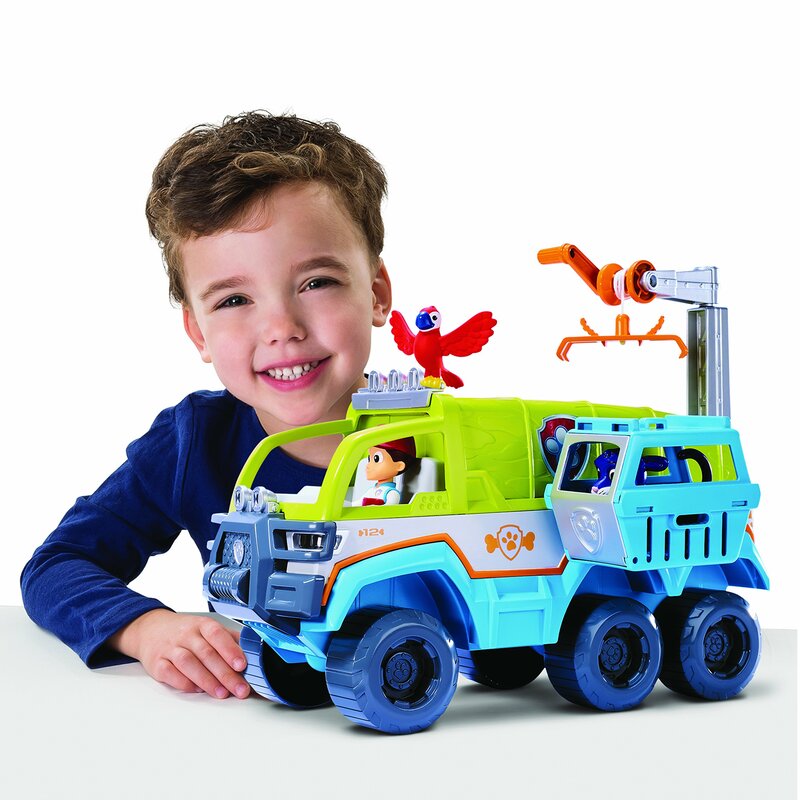 Race to the rescue with the Paw Patrol paw terrain vehicle!